Full Belly Sisters, together with a great group of bloggers, brings you this Very Merry Christmas $400 Cash Giveaway! It's almost Very Merry Christmas Time! The time of year we give gifts and show extra love to our friends and family. We overlook the bad and think upon the good and most of us try to show kindness to those we do not even know. Mother Theresa says it best: "Kind words can be short and easy to speak, but their echoes are truly endless." Let this time of year truly echo endless love and kindness throughout the year! 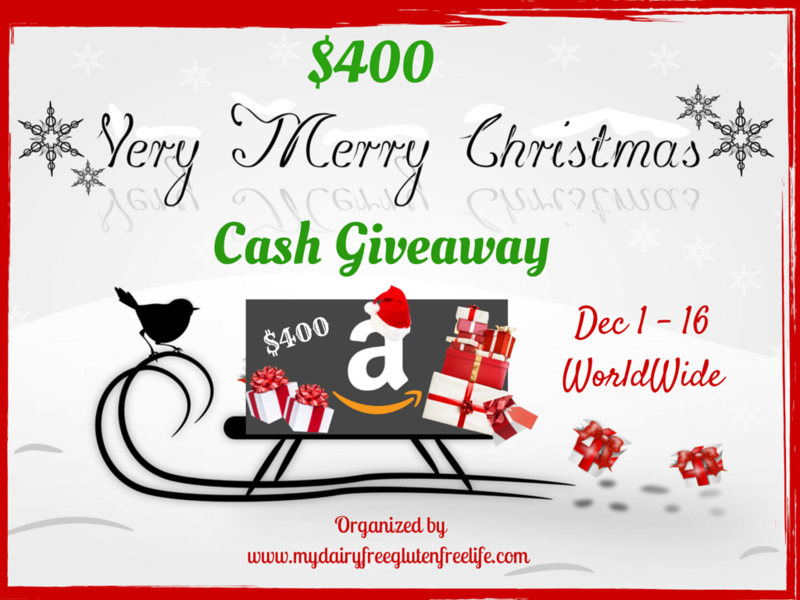 A great group of bloggers have joined together to wish our readers a Very Merry Christmas and bring you this $400 Very Merry Christmas Cash Giveaway. This cash giveaway is a Blogger Sponsored Event which means the bloggers—who you will find on the Rafflecopter for entry options—have donated money to help pay for this prize. One lucky reader will win their choice of an Amazon Gift Card or Code OR PayPal Cash for $400! December 16, 2015 at 11:59 PM EST. My mother-in-law is coming for Christmas. You can send your condolences to me in the form of $400 paper money. This year we are spending Christmas at home with no out of town guests. We are hoping for a white holiday after moving away from Florida! We are celebrating our baby's first Christmas in CO with family. We run a mean game of White Elephant. Christmas eve is with my in-laws, and Christmas day I'll be making breakfast for my mom. Simple, but it should be nice. Spending Christmas with my family!